We all know how much we tend to eat sometimes when we are very hungry, and how bad we feel after the “crime”. 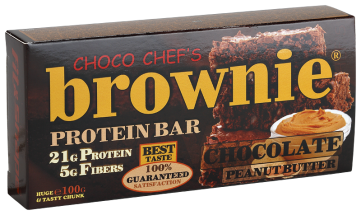 That’s why we from Healthy Foods and Drinks Ltd decided to make a dessert that is super chocolatey, super tasty and healthy at the same time. AWESOME, you would say, and you would be absolutely right! 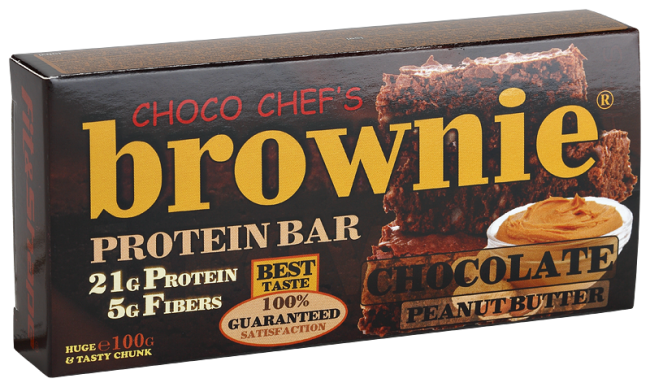 Brownie Protein Bar® a large bar (100 g) that gives you 23 g of high quality protein. 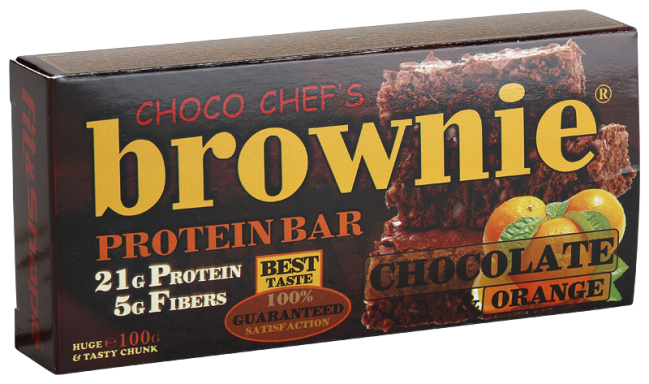 Carefully selected, it nourishes your muscles for a long time and fiber improves its absorption. We have also added Vitamin C and Calcium for a complete and balanced formula. All ingredients have been carefully selected for a complete and unforgettable taste and ultimate pleasure. 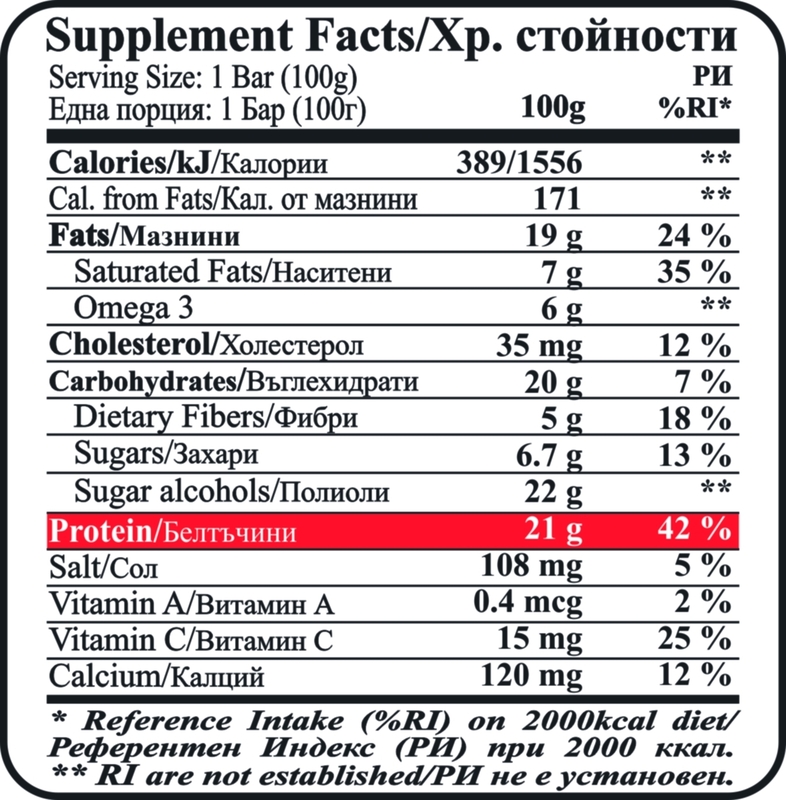 Matrix protein [whey protein concentrate (milk), milk protein isolate (milk), calcium caseinate (milk), rice flour, corn flour, oat flour (gluten), wheat flour (gluten), coconut oil, soy protein isolate (soy), maltodextrin, crystalline fructose, glucose syrup, vegetable fat, cocoa powder, orange peel / peanut oil (nuts), linseed, linseed oil, flavorings, calcium phosphate, salt, chocolate topping vegetable fats, sugar, low-fat cocoa powder, cocoa mass, whey (milk), (lecithin).